While all games are for entertainment, they all require some attention, training and skill. This is especially true for team games where the action of one player affects other players. While amateur baseball is a game played for fun, you can't get in a team if you don't know which end of the bat goes to your hand. I can't tell what is the difference between computer games and table-top games or sports that creates the "for fun lol" player. These players refuse or unable to provide the needed skill and effort to play the game any good and yet expects to be accepted as a participant. Can it be anonymity? Or the fact that the player pays individually to the game provider while in offline games there is no provider (kids playing soccer in the car park) or the pre-created team as a whole pays to the provider (bunch of friends at the bowling club). Anyway they pay money to the provider who doesn't want to lose this money. HTFU or GTFO: this is practically what would happen in real life. The wannabe player is told to either change his attitude and give the game the proper attention and effort or leave the playing field. This is what Everquest, Darkfall, EVE Online did. Their stable but small playerbase proves both that there are enough serious/good players to keep the game alive but also they lose on large amount of possible players. The "for fun lol" bunch isn't a marginal group, they are the majority. It's not a surprise, 98% of the students are not on the school basketball team either. "Accessible content": this means lowering all bars to allow the "for fun lol" players to complete the content. World of Warcraft spearheaded this way. The original WoW was much more tolerant to bad playing than its contemporaries and the subsequent expansions all introduced ways for bad players to get game rewards. Emblem gear (raiding level rewards for dungeons) was introduced in Burning Crusade. In Wrath of the Lich King the raiding content was nerfed to triviality and the "every patch resets gear" system was introduced. The subscriptions stopped their previous rapid grow and started to decrease. The content was strongly criticized by the good players and the community started to fade. Current WoW and clones are often called Massively Single Player games due to the near-zero interaction between players. It's unavoidable, just as the teacher can command the basketball team to take little Johnny in, but can't make them be his friend. Single player games have short natural life, players hop on the new shiny fast. The third way is somewhat new and has good potential: while the game remains "serious", it allows "for fun lol" players to be around without actually affecting the game. 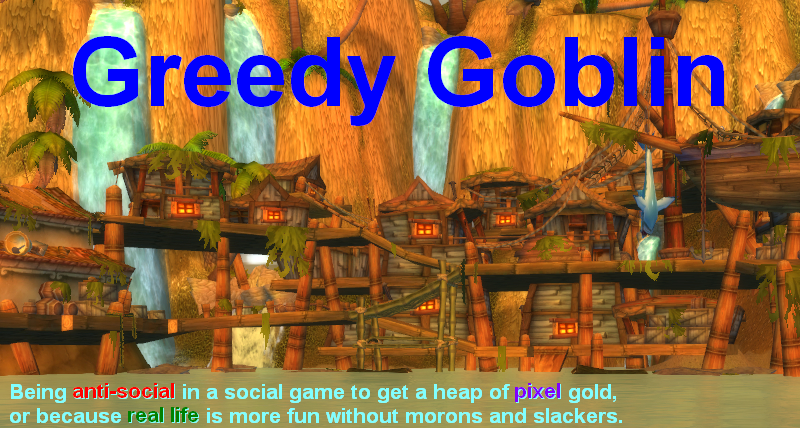 Minipet collection, leveling alts, doing various random silly things can make the "for fun lol" players busy playing, without making them interact with the real players which would lead to frustration for both parties. OK, but why the title? It is to explain a new direction in EVE Online development, a change from their original HTFU/GTFO attitude. The most recent addations to EVE (besides DUST integration and fixes) are various nerfs to highsec aggression and serious buffs to mining and small ships. It affects both combat cruisers which receive DPS buffs, serious buffs to T1 logistics cruisers and also introduction of logistics frigates and new destroyers. Jester recognized that T1 logistics will be near as good as their T2 counterparts for much less ISK. One could think that it's to help new players get into ships faster. However for new players the problem is rather ignorance than skillpoints. I'd guess most Moas lose more DPS on having non-meta T1 guns, stupid fittings and unlearned support skills than they gain on that 5%/level hybrid gun DPS. Aura telling you that you should learn Rapid Firing 3 before Caldari cruiser 5 would help more than any rebalance. No, the targets of these changes are not new players. It's the "for fun lol" players who have problems of even getting the price of a Drake. While I called the poor things "Drakes of poverty", I've seen the term "upshipped to battlecruisers" so many times that I reconsidered. My cloaky travels in low/NPC null also helped. Most gatecampers are in destroyers and cruisers, not battleships. A Drake - while considered newbie doctrine next to Foxcats here - is something serious in the eyes of the "for fun lol" players who are unable/unwilling to rat/mine 100M needed for a fitted Drake. They want to have instant fun in something that requires little ISK or skillpoints to fly. I support this change. Every player paying the $15 helps the game be better. The Scythe supported Moa gangs won't make any difference on the Sov map. I'd be extremely surprised if we'd ever encounter such fleets. They will be no match for serious lowsec pirates either. But they can lol around in lowsec killing each other and careless ratters/miners. They will die at the end but for them it's "gf lol". Elitism is bad. Everyone has the right to play and enjoy the game. The problem comes when someone has the bizarre idea that everyone has the right to win the game. Arthasdklol has no place under a Kingslayer title. Someone who can't get even a battlecruiser has no place on the Sov map or in a C2+ wormhole. CCP does it right while Blizzard messes it up. The question is can they properly advertise it, can they make the legions of "for fun lol" players try out EVE which still have the reputation of being unforgiving and evil? On Monday extremely nasty article comes, don't miss it! "I can't tell what is the difference between computer games and table-top games or sports that creates the "for fun lol" player. " And the answer seems pretty obvious to me for some reason. The difference is that you play your computer game alone, no matter, how many people you interact with. There may be thousands, but they are not in the same room with you, you don't see they faces, you don't smell they breath, you don't hear them, except pretty distorted teamspeak voices, which your brain can't really associate with a real face, even if you know the face. It's not the anonymity of a player, that can produce such an effect, but the inescapable anonymity of other players. there are enough game for the "for the lols" players out there, why would you want to water down one of the few games that are not like that? why is it so hard to understand that eve NOT being for every last casual gamer in the universe is what makes it so great? Anonymity makes players treat others as Artificial Intelligence. To the players, there's only AIs, unless that player show a skill set that's better than AIs, they consider the two categories of players. Better than AI, thus players, or worst than AI and thus, they are not human. A decent pilot's path lies through the pool of failures. Mastering in pvp takes not only time learning skills and grinding sec status back to tolerable level, but also the recovery of the resources to reship. The introduction of new logis will have a significant impact on the lower-sp characters: for the price of a single Scimitar hull one will be able to fit at least 4 to 5 Scythes. More practicing means less errors when the time for Scimi comes. The same contributes to the combat cruisers: not as decent as the BC's but they're gonna be way more affordable which brings way more opportunities for practice and mastering. More ships to blingsplode means more experience and more decent piloting skills as a result. p.s. Regarding your attitude towards nullsec as an "endgame": there's no endgame in EvE. It's all about the distribution of the influence. The guys with big ambitions capable of leading packs of grunts stick to sov null. The smaller groups start occupying npc null and lowsec systems (just take a tour round Molden Heath, you'll bump into some of them). The smallest ones stage in wormholes, since you can gain control on the numbers of the opposing fleets. So, claiming the territory yours generally is the endgame, no matter where it is. The problem is when there are advanced tech two ships that are supposed to be the best at what they do, and take at least two months to train fully, they should be better in every way bar price. With the new scythe buff, that won't be the case. No one is angry there's a viable logi noobship. Everyone IS angry that said noobship is as good or better than one that takes months to train/cost 100 times as much. Dumbing down seems to be a problem across the games industry right now. An example that springs to mind is how the Splinter Cell series has been butchered. Sadly the quest for greater and greater sales is having a very negative impact. Btw Gev, do you still accept moron screenshots from WoW (or at all)? Got a few funny ones where I'm accused of destroying a market, selling at a 1000% profit margin because the guy wants to sell them at 3000%-5000%. I think when people say "I play for fun", they mean "I don't play in competition in other players" or "I don't derive my fun from playing in a competitive manner". By competitive I mean, and it is either PvP (win over the other 1v1 where it's the objective by being better, arena, duels) or PvP (win the BG/objective the way it's intended by being better/having a better team) or PvE/PvP (Be a better player overall: heal more, do more damage, mitigate more damage, etc, your perfomance (quantified) is higher than the other player (YOU>HIM) with the same role vs a third party. Bridge fighters do not win, they sometimes get facerolled. They may sometimes be good and derive pleasure for such actions, but it does not make them win the game. In fact, this could be what they mean by playing for fun: Playing for the sole purpose of fun with no regard for rewards or the fame/recognition of being good (as when they pwn face they feel good, "I pwned his face" because humans, mentally sick creatures derive pleasure from dominating others, and making them feel bad about themselves, even though it's often useless and a behaviour bordering psychopathy, versus playing competitevely for consistent rewards, in a fair game where the other guy's your opponent, it is a battle you are both engaged in, may the better guy win. "Play for fun" is some kind of idiom, rather than something to take literally (as pretty much everyone plays for fun anyway). It means playing for fun alone, disregarding rewards as a goal but happy when they come. So, the problem is that those who don't play in a competitive way get in the competitive groups. They shouldn't be there. The bads who "play for fun" still want rewards, but the two are uncompatible. How many months did it take you to get into a logi? Imagine a player who has no interest in station trading (not that unusual). What else is he supposed to do in that time? The new Scythe is a huge improvement from a ship nobody flies currently to a JR Scimitar. I think this change will help us see more logi pilots as it lets you try out a reasonable approximation for a very small skill investment.